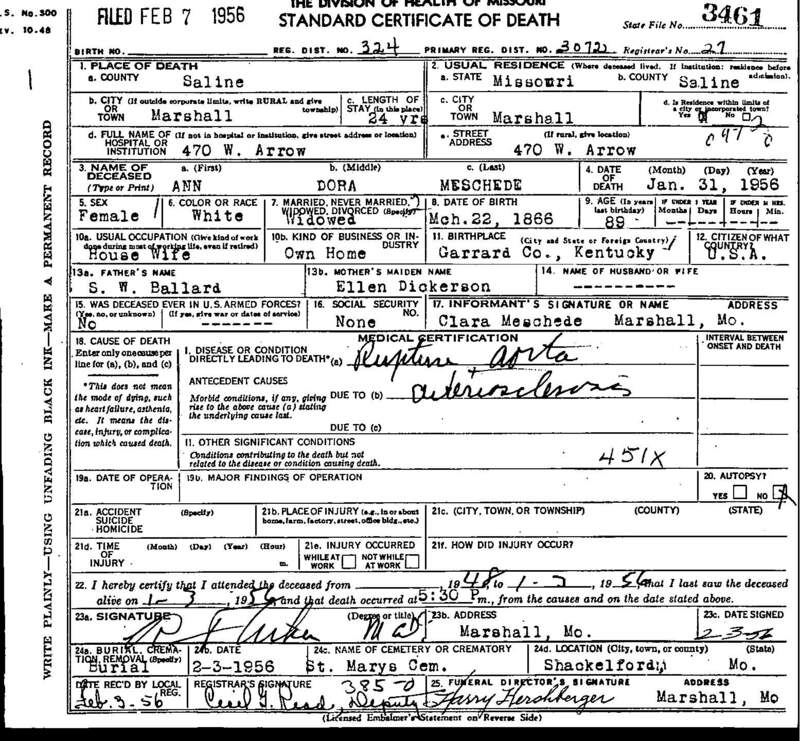 "Death Record - Ann "Nan" Dora Ballard"
Birth location: Garrard County, Kentucky. Cause of death: Ruptured aorta and arteriosclerosis. Burial location: Marshall. Saline County, Missouri.